When you’re busy running a business, dust control may seem like the least of your worries. After all, you need to focus on things like sending invoices, managing inventory, and keeping your staff on-task. Unfortunately, if you allow dust to enter your facility and accumulate, you’ll not only make your business look unattractive to potential clients, but you could even be creating an unhealthy environment for your employees. Learn more about why dust control is so important and the most effective ways to manage it in today’s blog, below. Dust control will keep your employees healthier. Why does dust control matter? First impressions are everything and no matter what industry you are in, a dirty facility will be enough to turn off many potential customers. Clients will judge your trustworthiness and professionalism on the state of your facility, and if it looks dirty or poorly maintained, they’ll likely take their business elsewhere. In addition, dust can create a significant health concern for your employees and frequent guests. According to the American Lung Association, the presence of dust mites can trigger asthma and allergies. 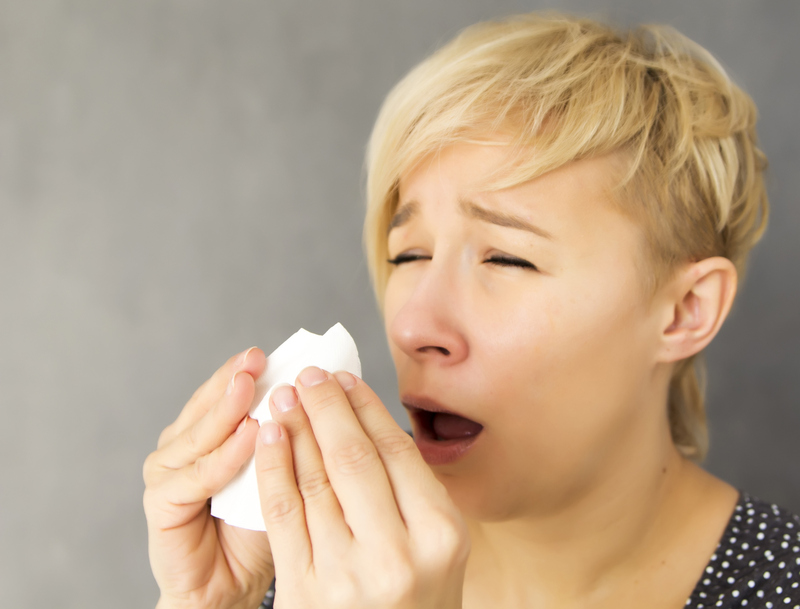 Some people with sensitive immune systems can even develop a sensitivity to dust mites themselves which can lead to respiratory problems, congestion, and persistent coughing and sneezing. To protect the health of your guests and employees and ensure your facility looks professional, dust control should be a major consideration. Luckily, Lord Baltimore Uniform offers a variety of walk-off mats that can reduce the amount of dust entering your facility by up to 80%. In addition to providing superior dust control, our mats can also hold up to 8 pounds of water and keep your facility cleaner while lowering your cleaning expenses. Our mat rentals are surprisingly affordable and will offer big benefits to your business! Microfiber mops and towels are also incredibly effective for dust control because they attract and retain dust particles better than traditional cotton. Renting your microfiber products from Lord Baltimore is affordable and effective. For over forty years, Lord Baltimore has provided reliable, cost effective uniform rental services up and down the East Coast, including Maryland, Washington DC, Northern Virginia, Southern Pennsylvania, and Delaware. We are an independently owned company and we are completely confident in our ability to provide you with service above and beyond rental industry standards. To learn more about how Mat Rental can help improve the health and cleanliness of your business, please contact Joe Bateman at Lord Baltimore by calling 800-292-1224 or visit LordBaltimoreUniform.com. We also handle towel rental for gyms and salons; apron, towels, uniforms and mats for restaurants; and uniform, shop towel, fender cover and mat rental for manufacturing and automotive industries. This entry was posted on Wednesday, August 24th, 2016	at 12:40 pm	. You can follow any responses to this entry through the RSS 2.0	feed. Both comments and pings are currently closed.